Wake up to sea air and the smell of pine trees with a stay in this safari tent on Oléron Island in western France. 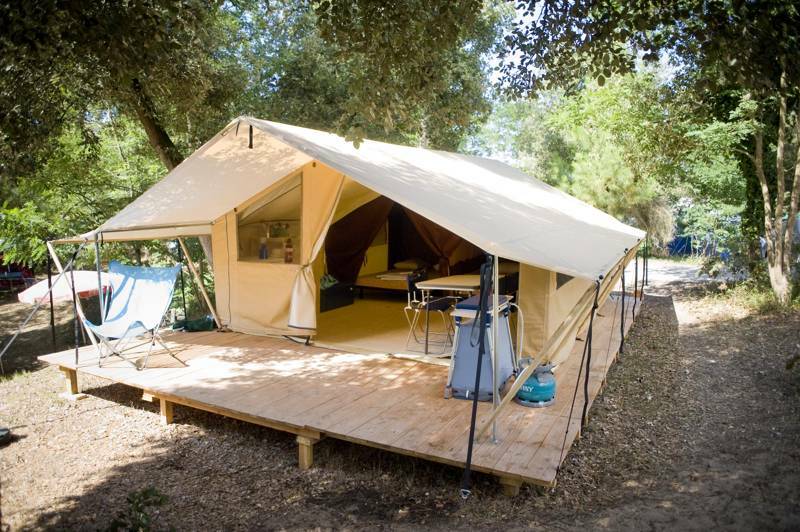 Huttopia Oleron Les pins offers these spacious wood & canvas tents for rent that nestle perfectly with the natural surrounding environment. Stay by the sea and enjoy the fresh air and natural surrounding in comfort! These tents include an indoor living/dining area, with a fully kitted out kitchenette complete with hot plates and plenty of crockery and utensils. Sleeping quarters are: one double bedroom, and a second bedroom with two single beds. 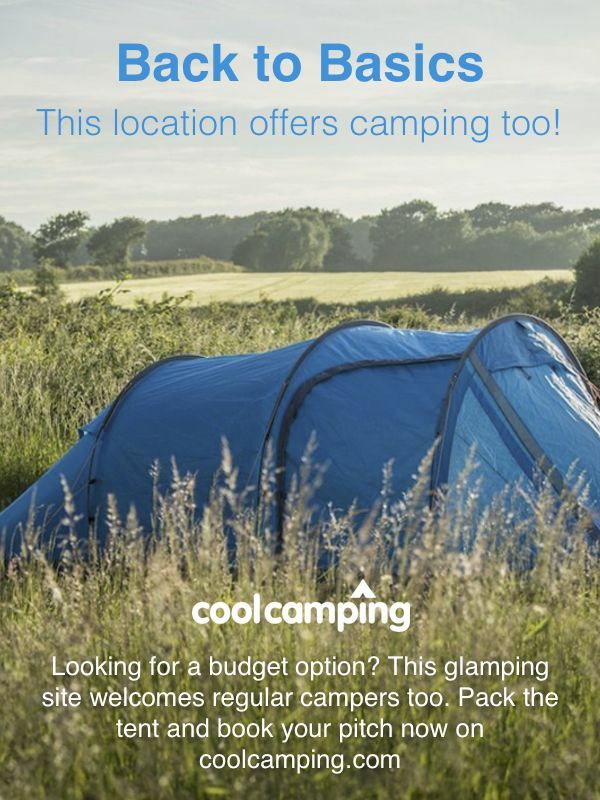 So you can enjoy the wonders of camping with the comfort of real beds! Please bring your own bedding or hire these as an additional extra. Two fully renovated washrooms facilities are just a short stroll away, complete with family friendly areas. During the key summer months (July and August) the campsite hosts a Kids Club with a range of fun, discovery, and manual activities organised for the children. There is plenty do on site with a heated swimming pool (Open from April 30th - September 14th) so you can make the most of the sunshine. You can kick back and relax on a deck chair or parasol on the large wooden terrace. The volley ball court, table tennis, pétanque and tennis courts will keep everyone entertained. There is also a small playground for smaller children. For the lovers of the outdoors you can hire bikes at reception to set out and explore the island of Oléron by taking the cycle path that goes past the campsite, or you can explore the nearby beaches that can be reached through the national forest of St Trojan : Petite Plage beach is just 1 km from the campsite and Gatseau beach is 1.5 km away. Get together on the terrace of the snack wagon for cold drinks or to share a homemade pizza together on a warm summer evening - There is also free wifi here! If you visit reception during your stay you can take some brochures to give you all the information you need about the surroundings, hiking and nature activities. If you have forgotten any supplies or just need that quick chocolate fix, pop to the grocery corner !